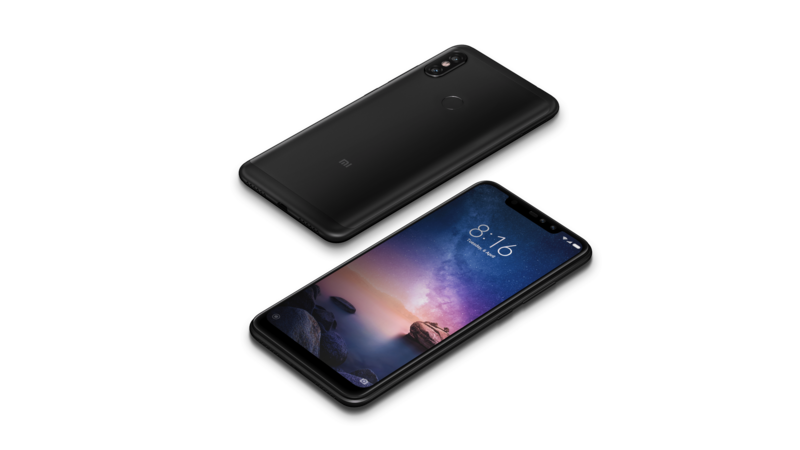 Redmi Note 6 Pro features a two-day battery that Redmi smartphones are known for, and for the first time, it brings an AI-powered quad-camera experience to the segment. 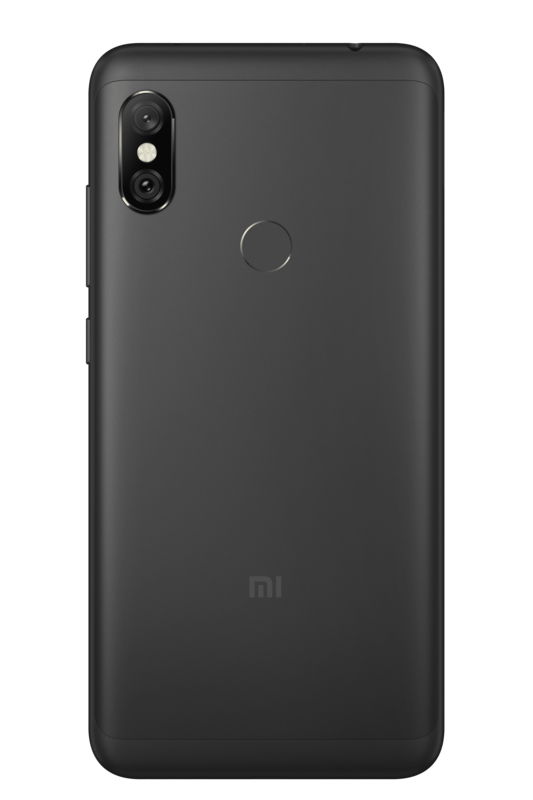 Redmi Note 6 Pro is the successor to Redmi Note 5 Pro, the number 1 dual camera smartphone in India as per a report from Canalys in July 2018. The Redmi Note 5 series crossed 5 million units in sales in a matter of 4 months since launch in February 2018. Redmi Note 6 Pro features a contemporary arc design and sports the popular Qualcomm® Snapdragon™ 636 octa-core processor. It brings to the table an AI-powered quad-camera setup and a 4000mAh two-day battery with support for Qualcomm® Quick Charge™ 3.0. With high-speed LPDDR4X RAM in tandem, Redmi Note 6 Pro makes for quite a capable setup. For an all-new selfie experience, Redmi Note 6 Pro’s 20MP + 2MP AI dual camera on the front allows you to take effortless portrait photos along with live portrait previews. The 12MP + 5MP AI dual camera setup on the rear with large 1.4µm pixels aims to provide crisp and clear images even in low light. With portrait mode on both the front and the rear cameras, supported by Xiaomi’s new AI Portrait Mode 2.0, Redmi Note 6 Pro is truly a quad-camera wonder. The new and refined AI Portrait Mode 2.0 allows you to apply dynamic bokeh effects—including effects like Light trails and incredible Studio Lighting—to your images. Complementing the all-round package is a 2+1 hybrid slot, allowing easy memory expansion and carrier selection. Support for dual VoLTE ensures you’re are covered on the connectivity front as well. Redmi Note 6 Pro comes with MIUI 10 out of the box based on Android Oreo. MIUI 10’s multitude of optimizations means that Redmi Note 6 Pro offers a bump in battery life, as well as features including Wi-Fi passthrough (essentially making your phone a Wi-Fi repeater) and a completely revamped recent menu that makes the best use of available screen space. 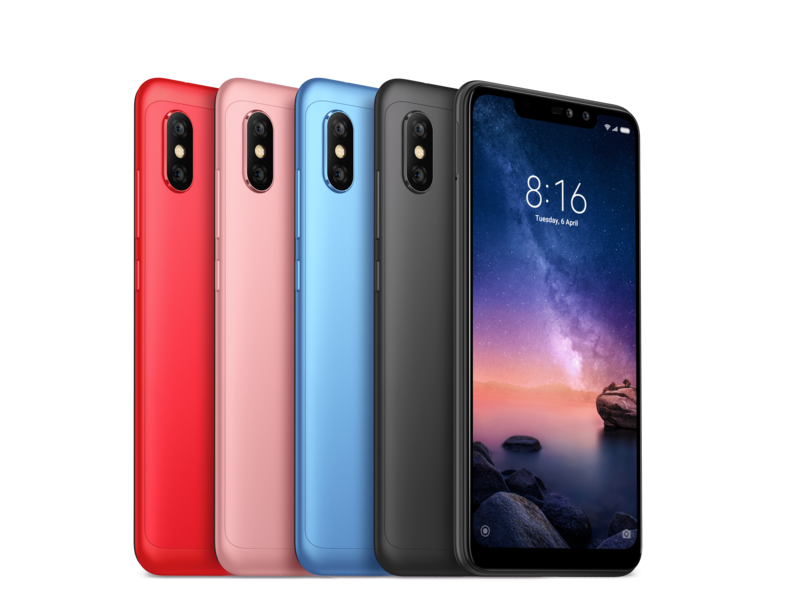 Redmi Note 6 Pro comes in Black, Rose Gold, Blue, and Red colours, and in 4GB + 64GB and 6GB + 64GB variants. 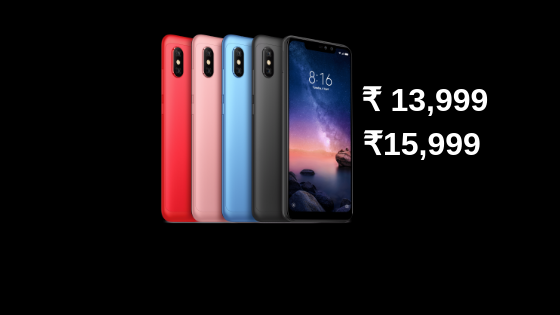 For the first time in history, Redmi Note 6 Pro will go on a Black Friday sale one day after launch across Mi.com, Flipkart and Mi Home on 23rd November 2018 at 12 noon for INR 12,999 for 4GB + 64GB variant and INR 14,999 for 6GB + 64GB variant. There would be additional surprise sale on 23rd November and details would be shared at 12 noon on the same day. Reliance Jio will be offering a cashback of INR 2,400 and up to 6 TB of Jio 4G data.